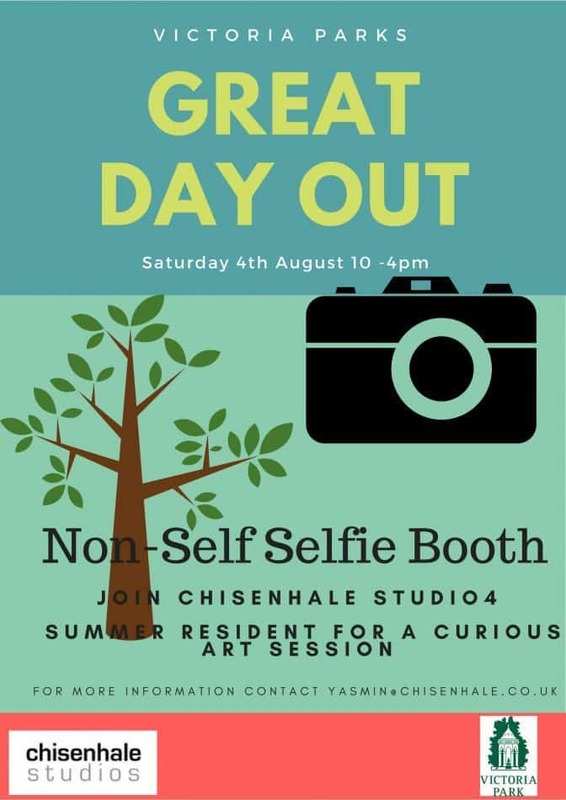 Join the current Summer Studio4 resident Jonny Briggs who will be offering a fun art session exploring the idea of the ‘Selfie’. He will be bringing his booth to our local Victoria Park for their GREAT DAY OUT on 4th of August!! So pop along and join the fun. for more information contact yasmin@chisenhal.co.uk or look out on our social media.